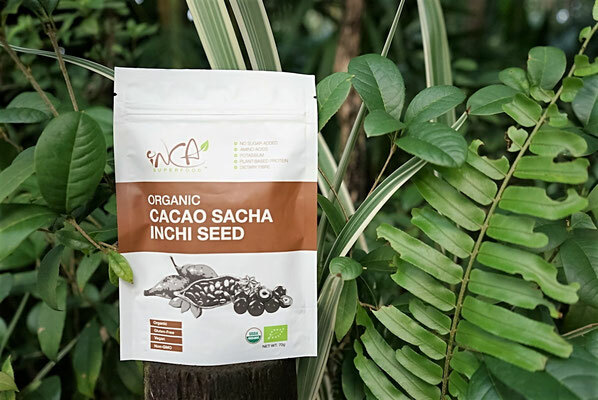 Sacha Inchi Seed has been called the King of Superfood of the next era because of its high content of essential fatty acid (EFAs), Omega-3, 6 and amino acids. Also, its natural complete digestible protein, calcium, dietary fibre with plenty vitamins which is the great for human healthy lifestyle. 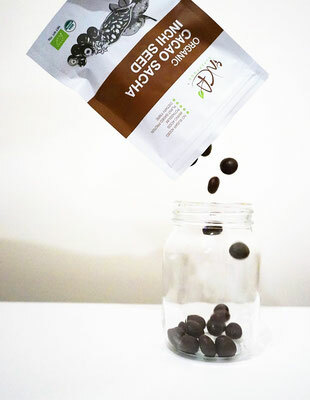 All the sweet taste from this chocolate snack is come from the Yacon Root Syrup, no extra sugar added. * Pan A, Chen M, Chowdhury R, et al. (December 2012). "α-Linolenic acid and risk of cardiovascular disease: a systematic review and meta-analysis". Am. J. Clin. Nutr. (Systematic review) 96 (6): 1262–73.doi:10.3945/ajcn.112.044040. PMC 3497923. PMID 23076616. ** He FJ, Marciniak M, Carney C, Markandu ND, Anand V, Fraser WD, Dalton RN, Kaski JC, MacGregor GA (2010). "Effects of potassium chloride and potassium bicarbonate on endothelial function, cardiovascular risk factors, and bone turnover in mild hypertensives". Hypertension 55 (3): 681–8.doi:10.1161/HYPERTENSIONAHA.109.147488.PMID 20083724.